We can’t all be Michael Jordan on the NBA court, but your inner basketball star can shine on the Sports Complex court! Score the game-winning goal from the 3-point line or bounce yourself up for a slam dunk! Practice your soccer skills in the Sports Complex with a one-on-one game. Send the inflatable soccer ball soaring past the goalie into the mesh goal, and then bounce as high as you can to block your opponent’s shots to win the game. In some sports, interactive inflatables give players the huge advantage of being able to jump even higher. This is especially true with our volleyball game. Practice your serving and spiking skills to show your opponent who’s boss! In this game, each player must keep balance on his pedestal while simultaneously trying to knock his opponent off with a large padded jousting pole. 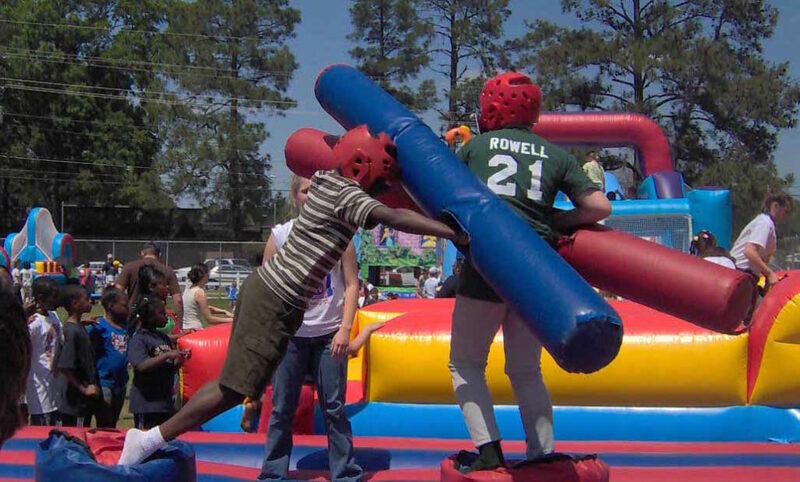 Inflatable jousting takes both skill and dexterity. Are you up for the challenge? Boxing becomes a lot more interesting when you can put on inflatable headgear and playfully “knock out” your opponent with inflatable gloves that are practically half the size of your body! See if you have what it takes to be the next Muhammad Ali! 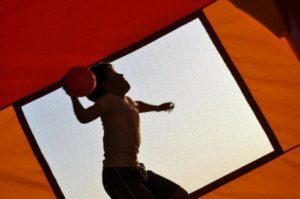 Whether you’re hosting a child’s birthday party, a graduation party, or some other event, you can provide endless entertainment by presenting guests of all ages with a new twist on traditional sports. 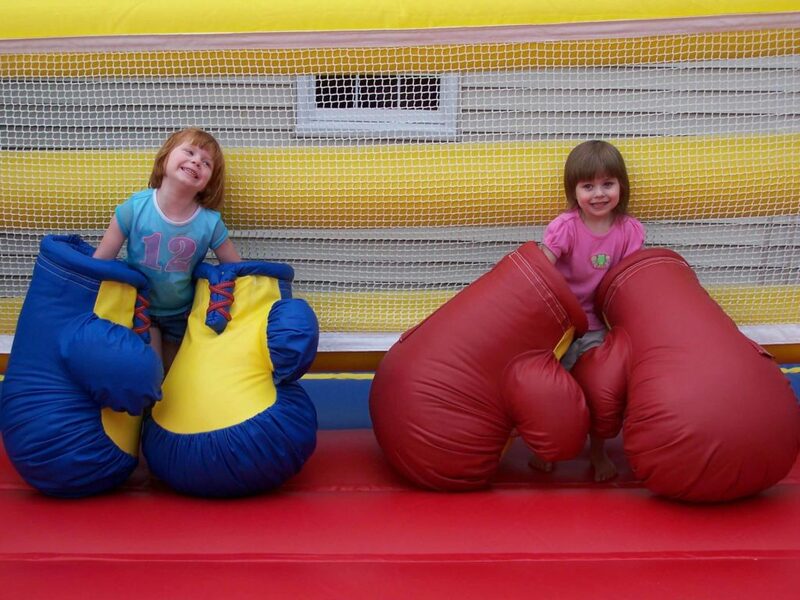 Interactive inflatables like the Sports Complex and other units are guaranteed to be a hit at your event, so call us today!